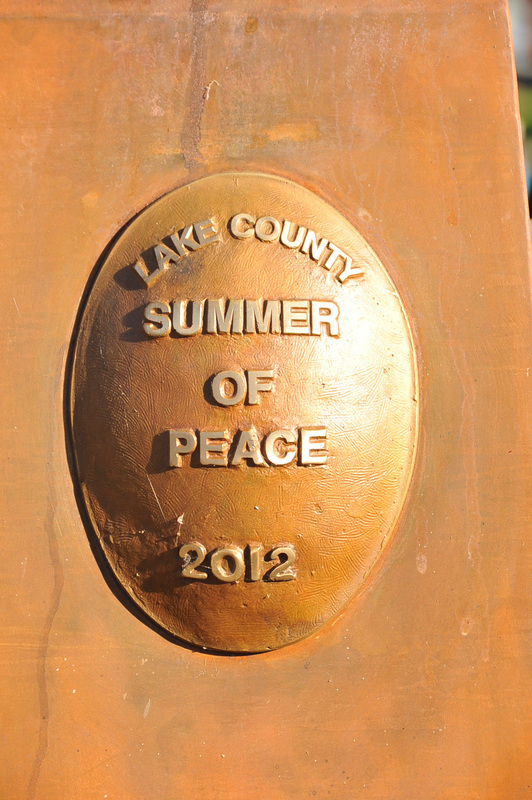 Help actualize the vision of the Lake County Summer of Peace 2012. Any amount will expand the possibilities for the influence of peace by our county on our own community residents and throughout the world. 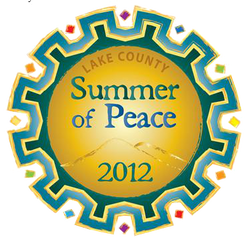 To ensure that your contribution is designated for the "Lake County Summer of Peace", please state that it is for the "Peace Project"; and list your name, address, telephone number, credit or debit card type ("Visa", "Mastercard", etc. ), credit or debit card number, amount and the 3-digit code number on the back of the card. 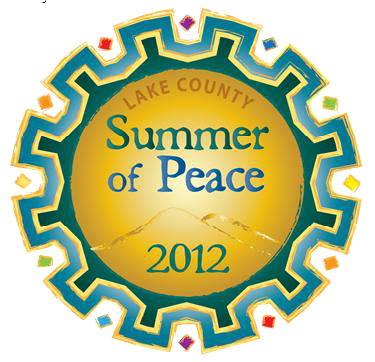 The Lake Family Resource Center (LFRC) has kindly offered to serve as the Fiscal Agent for the Lake County Summer of Peace. LFRC is a prominent non-profit organization in Lake County, serving the needs of families and children. Your contribution is at the heart of our common mission. Thank you for contributing to this collaborative 90-day event! This is a rare opportunity to help raise the consciousness of our region while contributing to the overall economic sustainability of our county. It is because of you that the all-volunteer festival will be effective in its goals. Delivered through diverse voices and ideas in a broad spectrum of exciting workshops and entertaining programs, the messages of peace and prosperity will resonate far beyond the conclusion of the Summer of Peace throughout the winter months and into the future, adding to the potential positive and creative health, nourishment and growth of the community and our children's lives.